It would be fair to say that the world’s gone mad for online games in recent years. It seems like almost everyone has a game or two on their phone and sites like Twitch regularly attract around 140 million people a month. There’s certainly also no shortage of gaming apps to load onto tablets and mobiles catering for virtually every taste. 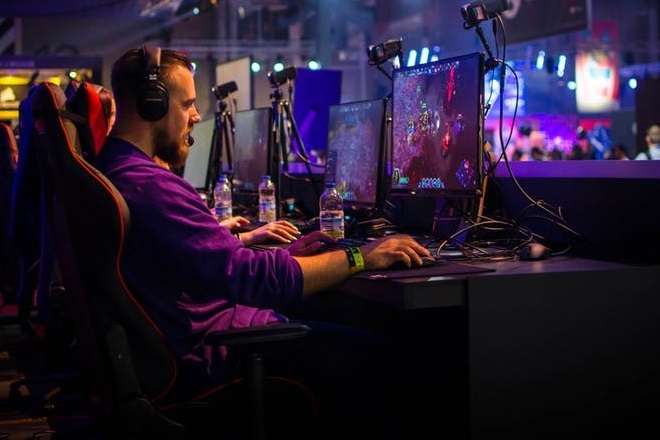 However, for some players, this can be an issue when it comes to the kinds of games that are complicated to play and which have quite a steep learning curve to navigate before you can really get to grips with them. So the initial feeling that you can get from one of these games is frustration followed by a desire to just abandon it and go to play something easier instead. Luckily, there are plenty of these kinds of games to choose from too. Ones that rely as much on luck as they do on skill and which have very easy rules and directions for playing. There are lots of suggestions for these online but, to save you the time of looking for them yourself, we’ve picked out five that you’ll be able to pick up in minutes, and enjoy for hours. Journey is the perfect proof that even the simplest games can be some of the most involving to play and can actually help you to feel more serene and relaxed at the end of it. While this isn’t one of the more usual benefits of playing a video game, you’ll find it’s definitely true of Journey. The plot is beautifully simple. You are in a vast and empty desert and reaching a distant mountain is your ultimate objective. As you head towards it there are a number of random meetings with other people who you can only communicate with through music. It’s a true voyage of discovery and luck comes in with the ways in which you meet fellow travellers on the journey – travellers whose identities are only revealed at the very end of this intriguing game. There can’t be many people who have never heard of Candy Crush Saga and all you need to know about its popularity is that over half a billion people worldwide have downloaded it to play free (although there are in-game purchases available too). It’s a very easy game to play and there have been a number of debates about whether being good at it may be more a question of luck rather than skill. The idea is to match up a series of candies into sets of three. Each time this is done, these disappear from the screen to be replaced by three other unmatched ones. Sometimes this is against the clock, at other times it has to be achieved in a set number of moves. The bright, vibrant colours make it a very visually arresting game too. Poker is a game with a pretty major reputation for being a complex mixture of luck and skill and it’s the latter that puts many people off. There are also a wide number of variations to get to grips with if you want to become a serious player online, or even in “real life”. But a far easier game to master, and one without the complication of deciding how to bet, is Chinese Poker. The rules are simple: each player is dealt 13 cards and has to make these into one three-card and two five-card hands with the three-card hand being the weakest. Each player’s hand is then compared and the winning ones each earn a point which equates to the stake that you’re playing for. It’s made even easier because there’s no betting or bluffing, the only element of skill comes in putting together the best possible hands from the cards that have been dealt. Our fourth choice is an intriguing crossover between an interactive movie and a video game in which the choices that you make can turn out to be lucky or less fortunate, taking you in some very unexpected directions. In the game you play Matt, a college student earning some extra cash by being a parking lot attendant. One night you get involved with a gang of armed robbers and this leads to striking up a relationship with a woman gang member called May-Ling. Through the game you need to make number of choices that can lead to a good, or not so good, outcome. The film the game’s based on was released in 2016 and was universally well received and the game has been just as popular being named “Most Creative and Successful” at the Game Connection Development Awards. We started in a desert with Journey and we’re going to end deep under the waves with Abzu. As you swim through the deep led by a shark guide you not only discover the brightly colored undersea world alive with creatures but also the remnants of a number of ancient civilizations. Your ultimate aim is to reach a giant pyramid which is key to the secrets of the ocean, as well being where you’ll discover exactly why the previous civilizations perished. Throughout the game the stunning visual rendering and relaxing environment make choosing your possible options a captivating experience, not to mention a truly inspiring one too.